Congratulations Global Innovation Field School! 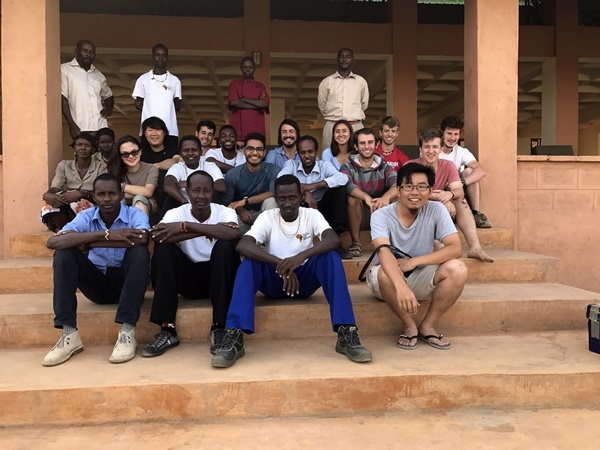 Home|Congratulations Global Innovation Field School! 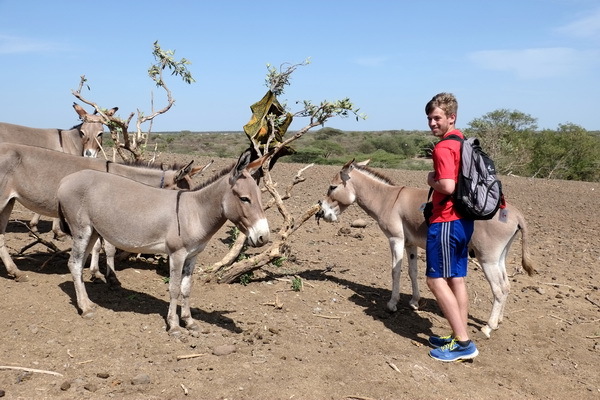 In their final week, the students visit a new area near Sericho, a small fishing town a mile away from the Ethiopian border. Here the group is introduced to new people and a new lifestyle. 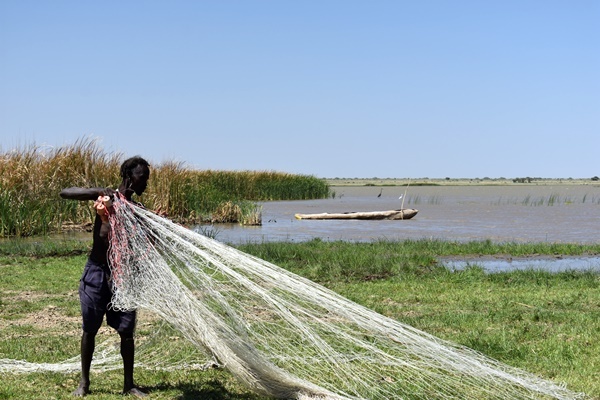 Very few people in Ileret town use fishing as a means of finding food sources. In fact, it is a style of living that is looked down upon by other people within the area. This was highly interesting because the fishermen have a completely different way of obtaining food and interacting with money than those of the Ileret town. 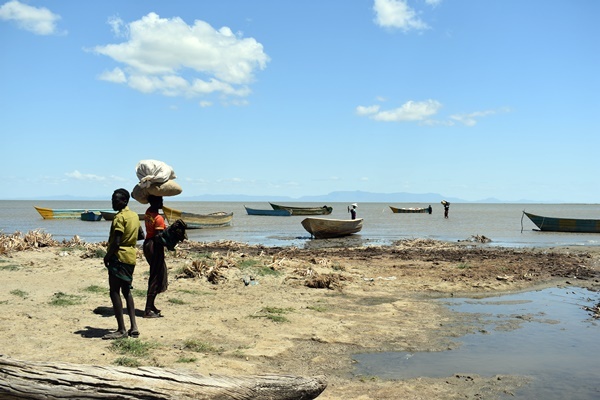 The people in Sericho not only eat the fish that they catch, they also trade the fish for money and other products which allows them access to buy things such as engines for boats, nets, and other equipment. Some of these fishermen also plant seeds and grow crops, another large contrast to the people of Ileret town. 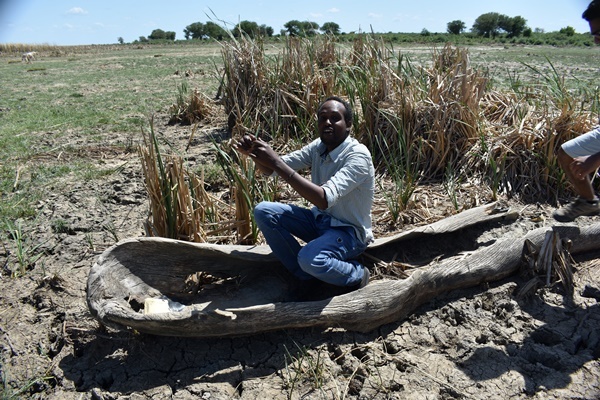 Unfortunately, the students did not see the crops because the continuously dropping lake level makes the land not arable anymore. 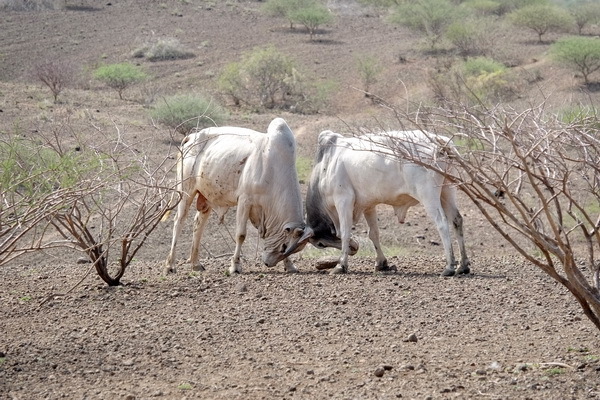 The rapidly changing landscape and unpredictable climate have posted more challenges for the locals than before- something seen across the different communities along the trip. 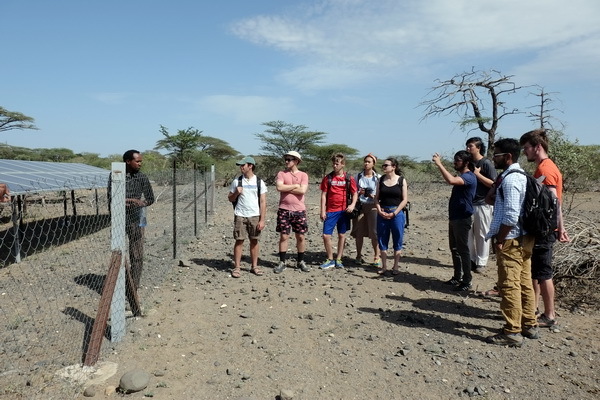 Students also visited the solar panel system that TBI implemented in collaboration with KWS (Kenya Wildlife Service) for a community east of Ileret. This area is about 40 km away from Ileret town and gets water from a vast aquifer in the area. The array of 72 solar panels uses solar power to pump water from the aquifer into a large tank which serves to store and preserve the water. 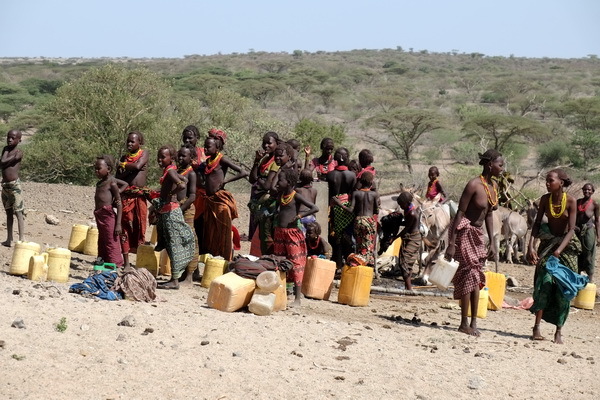 Because the water comes from an aquifer, it is much cleaner than the water that comes from wells and other sources. From the tank, there is an organized distribution system that provides water to two posts. 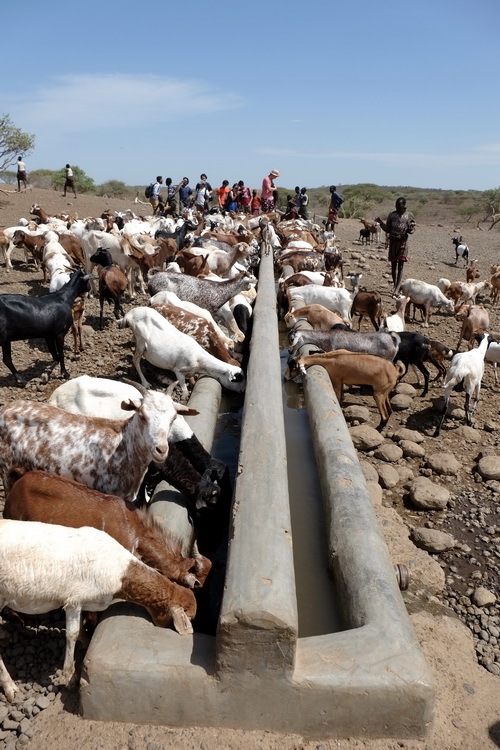 One distribution goes to a fountain that is used as consumption by locals, while the other irrigates to a feeder that provides water for livestock. 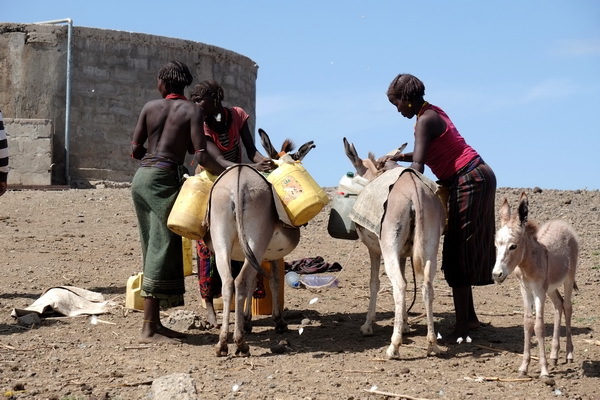 People travel for many kilometers with their livestock to obtain drinking water and have their cattle drink from the feeder. The team was even able to witness a bull fight in the distance. 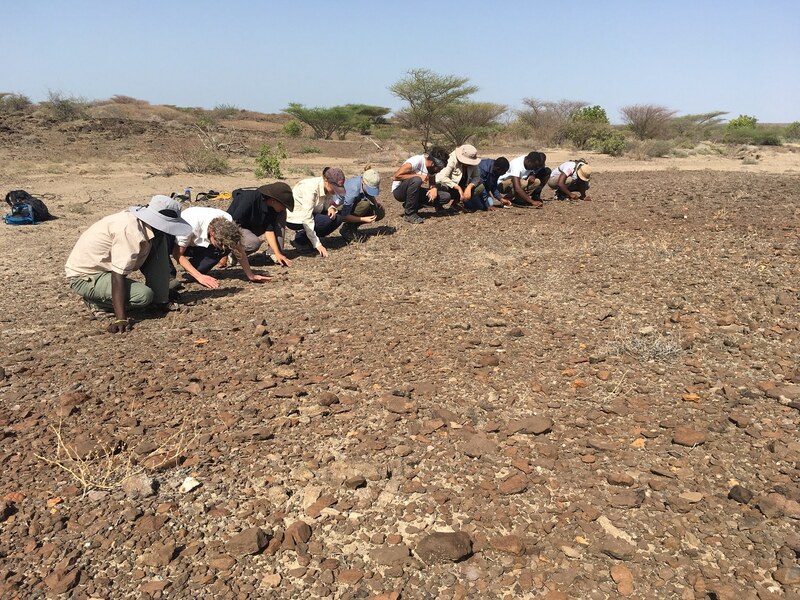 Once again, these site visits provide a fresh perspective on systems that are currently in place that can provide a form of sustainable resource for the community in Northern Kenya. As part of their goodbye to the community, the students continue their tradition of attending the primary school after hours and conducting a music program with them. The innovators bring buckets, sticks, bottles, and other make-shift instruments to teach the kids music. After the team shows up, over 50 students rush towards them ready to join in on the action. The primary school teachers help break students off into different groups and the innovators give each group a set of different instruments. The teams then teach the students different patterns and forms of arrangements. Once the groups had a good idea of the patterns, Saffron brought them all together and let the ensemble take over. Before the students left, they provided the school with all the improvised musical instruments they had collected during their time in Ileret for the school’s future music club and for local students to create music when they see fit. The Global Innovation Field School has been a major success in its first program at TBI. The students of this group have had an impact on the community’s immediate needs with energy availability, wastewater needs, safety for local students in the primary school, and garbage collection. The team has also started to create long-term relationships with TBI staff and some of the community leaders such as Madame Hilda and Beatrice, who they gave project reports to before leaving. The students wish to follow up on their short-term projects to make sure all is going well and to keep in contact with members of the community. This is a crucial step as many organizations that go abroad to assist developing communities do not work to maintain a relationship with the community. Thus, if anything goes wrong with the project, the community has no way of contacting or connecting with the implementers to rectify the problem. The Global Innovation team is working diligently to make sure they do not make the same mistakes that other organizations with great intentions but poor follow-through have made in this community. The team has also completed their long-term project proposals, many of which have potential to be continued after the program. Saffron is planning to continue the implementation of the music program at the local primary school by incorporating her long-term project into her senior design course. She wants to commit her senior year to creating a replicable process to make musical instruments with materials only available to the community in Ileret. The students found that music is one of the strongest ways to break any barrier whether it be language or culture. They believe it could be expanded to create even more community within Ileret. Wen and Jake were able to test the bone charcoal they created during their first experiment. Their second experiment consists of allowing the bone charcoal to saturate in fluoride filled water. The bone charcoal, in the presence of water, should reduce the level of fluoride content over a set period of time. The water that the team used originally had a measure of 7.7 ppm, (parts-per-million), of fluoride content and after the testing, the fluoride content had decreased to 5.7 ppm. In New York City, the acceptable amount is 4.0 ppm. The team still has a lot of testing to conduct to discover how to further decrease the fluoride content and to make an efficient system that the Dasaanech people could conduct on their own. The team is excited at their progress and have gained great momentum going forward. They plan to conduct more testing when they return to the states and to finalize their implementation for everyday use in the Dasaanech community. 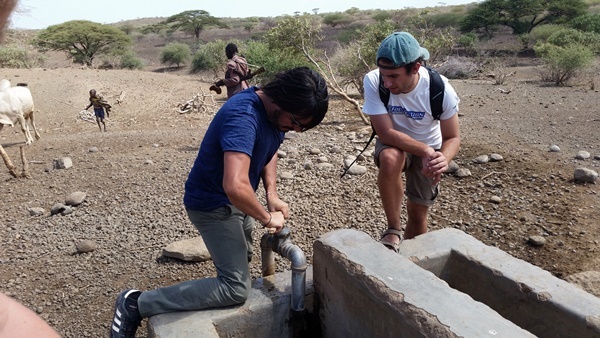 Addison and Joe have completed a part of their assessment in providing wastewater management for the Dasaanech community. From their findings, they believe implementing a system where waste is repurposed as a form of fertilizer would offer the best long-term impact for the community. 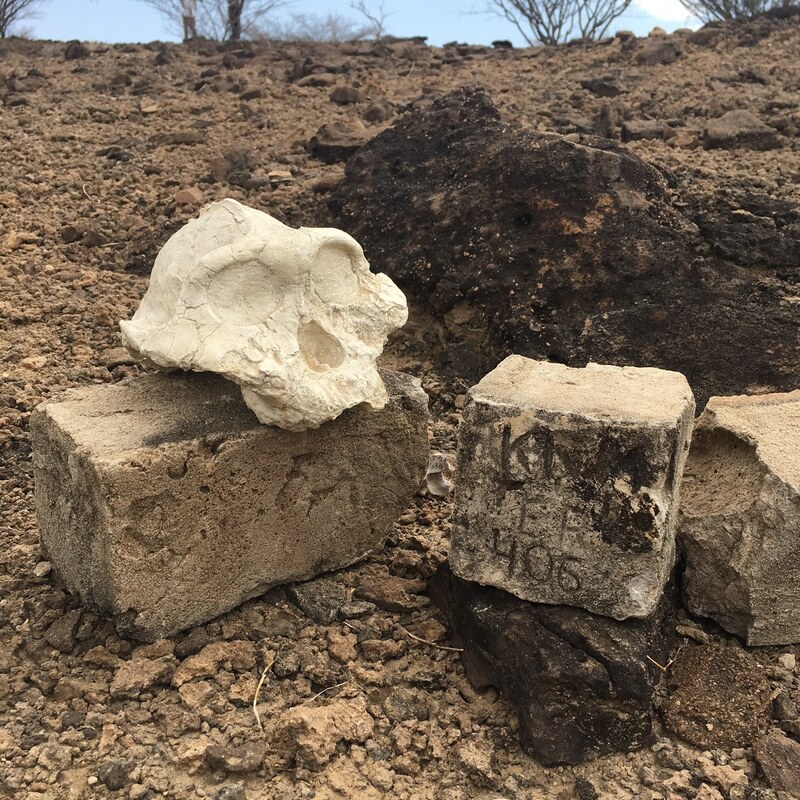 The system mixes waste with a carbon source, where naturally the waste is broken down into a form of fertilizer that can be used for crops and/or to sell for monetary value. If used in conjunction with some of the latrines at the community centers such as the school and clinic, this could provide a sustainable means of waste treatment. The students want to continue researching different carbon sources that are more abundant and readily usable in Ileret to find a way to implement in the community. The second part of their project that deals with storm water management also provides great prospects for the community both in the long-term and short-term. The team wants to implement terraces, which are small cavities in the ground that can gather water, around large slopes or areas most affected by water runoff during rains. These cavities would protect the landscape against heavy erosion and could act as hubs to create vegetation. The team will be writing to the government to see if funding for implementation can be secured in the future. Nick and Brent have completed a full design layout for the medical clinic in Ileret town. They optimized the design to allow for convenient access to all necessary materials for the staff as well as provide adequate space for patients and maximize health and safety. They even took into consideration designing the buildings to maximize natural lighting to reduce loads on PV systems that would be in use. 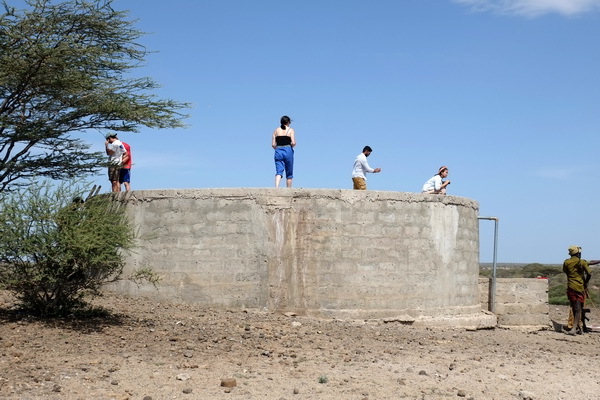 This project is very large scale; thus the team is interested in reaching out to the Kenyan government for support as well donors to get financial support. If the project obtains this support, the team also wishes to consult with professional engineers of different departments to get their designs reviewed and enhanced. 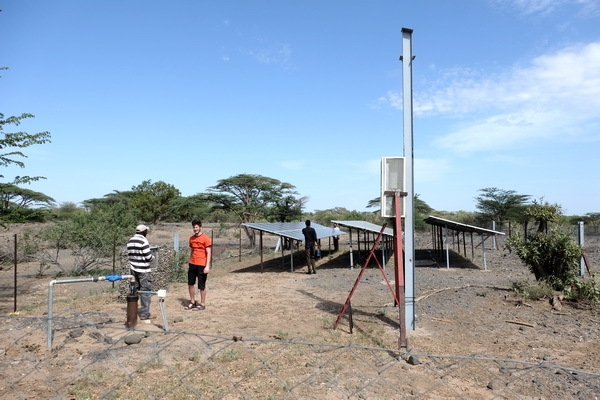 Giancarlos’s long-term project of providing a centralized off-grid energy system for the local community led him to researching two alternatives of providing a photovoltaic power plant or a wind farm in the general area. It is his belief that a centralized system would work best in the community with a focus on major community centers, such as the clinic and school, which impact large members of the Dasaanech community. His ambition is to gain financial aid to provide energy relief to the clinic and school. He is planning to reach out to Joe O’ Connor who is has worked as an engineer for SolarCity and successfully assorted a photovoltaic bank for rangers in the Virunga National Park in DR Congo. He wants to see if he can obtain guidance from Mr. O’Connor and possible funding from organizations dedicated to providing energy relief such as Empowered By Light and the GivePower Foundations. During the process of creating a theoretical educational system to fit the nomadic lifestyle of the Daasanech people, it was discovered that the University of Regensburg in Germany and Father Florian, a missionary from Germany, have been developing a program called INES. INES, or Ileret Nomandic Education System, is a system with the same mission as Alan’s program. The program is going to consist of teachers, chosen by the Dasaanech community, who will move with the tribes as they migrate from place to place. This teacher will teach young children of the community different languages, math, and life skills such as reading and writing. The curriculum will be tailored to accommodate students’ different learning abilities so that every student can progress at their own pace. Alan hopes that future Global Innovation teams can add new innovations to this school system as it develops over the years. 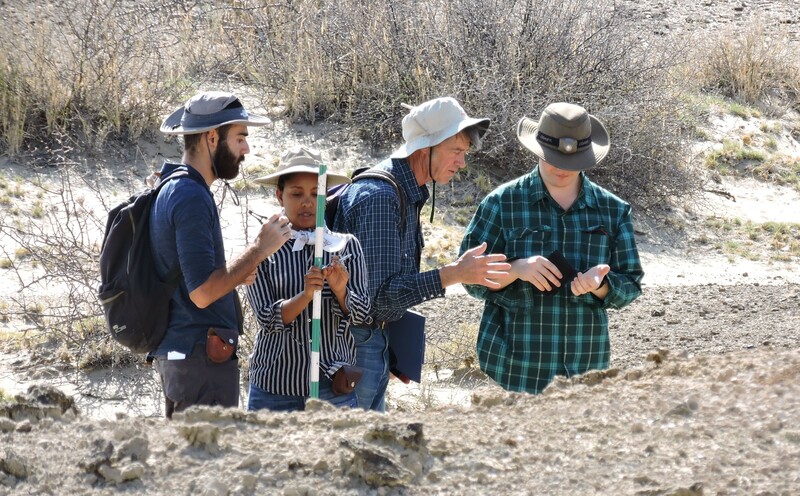 Many of the group is dedicated to continuing their projects past the field school this summer and want to return to provide further assistance. Students have even shown interest in even becoming teaching assistants for next summer and advocating for future field schools. Five weeks have passed in the blink of an eye. Not too long ago, Kenya was a mystery to this group and within a matter of weeks, it felt like a home they couldn’t leave. New friendships, relationships, laughs, stories, and precious memories were made here that the team will never forget. 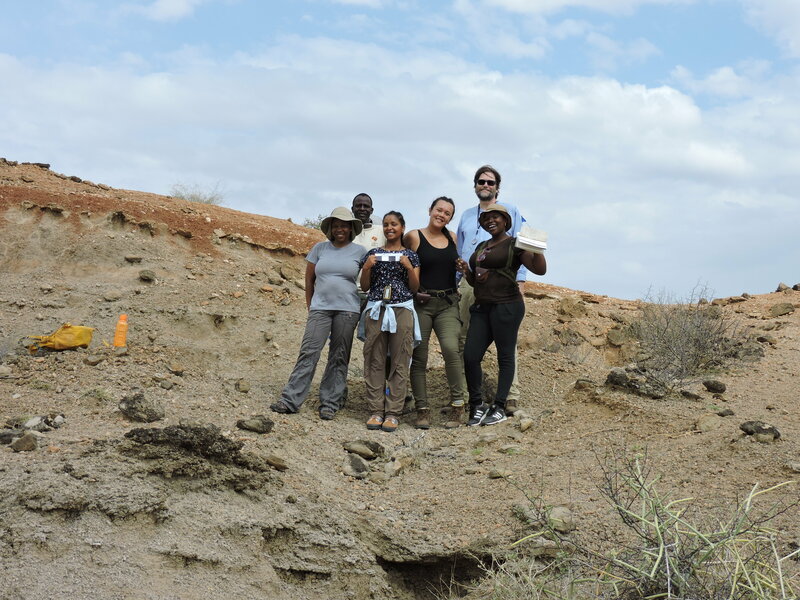 We would like to also send a large thank you to the Turkana Basin Institute for being our home for the past 4 weeks. 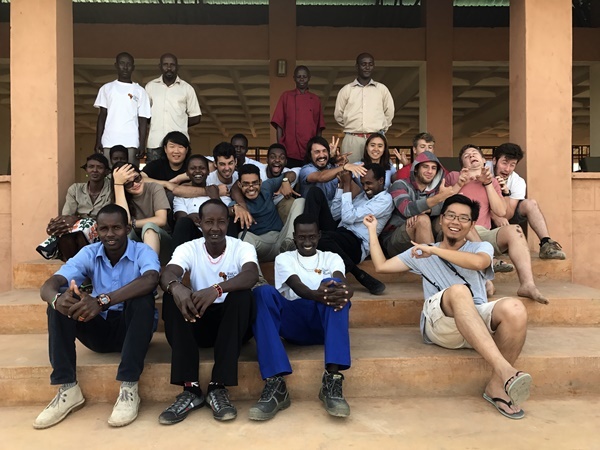 The staff welcomed us with open arms in their lifestyle, offered their insight, and worked diligently alongside the group to make the projects a success. 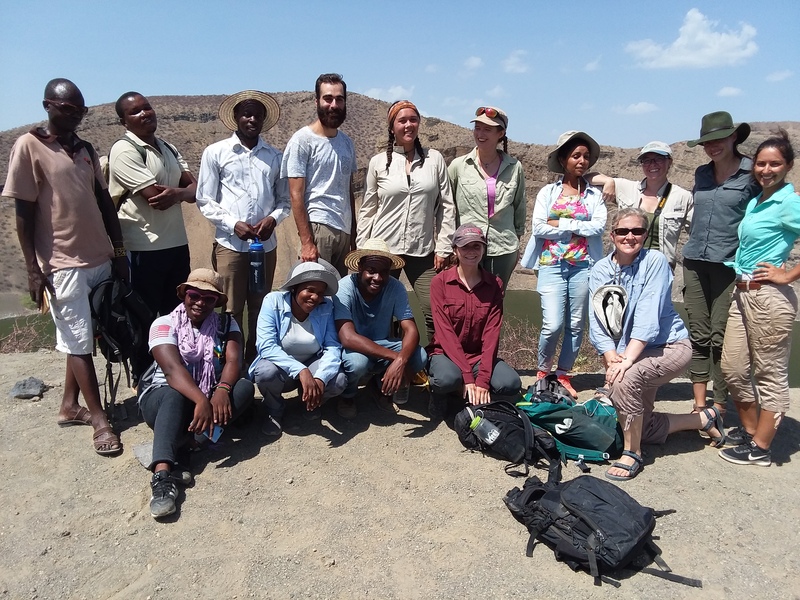 Another special thank you to Mpala Research Center and the staff as we were treated with the utmost level of care and love which made the entire trip full of warmth and created a comfortable atmosphere for the field school to be able to thrive in. By Julian Kingston|2017-07-01T20:45:10-07:00July 1st, 2017|Field Schools, Global Innovation 2017, Global Innovation Field School|Comments Off on Congratulations Global Innovation Field School!